The festive period can be really stressful for many reasons… spending time with family members where all that old stuff comes back again. Over-indulgence – in all senses of the word – emotions as well as food and alcohol. 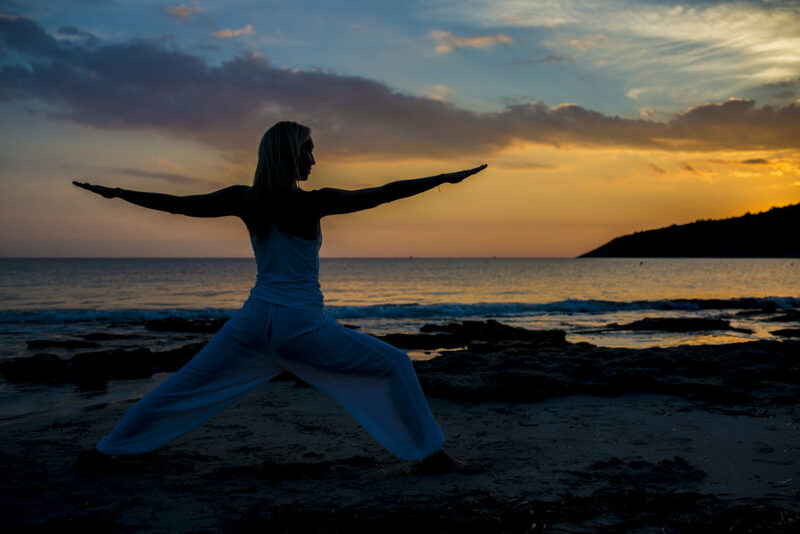 Here is Ibiza Retreats top 5 tips from morning to bedtime to help you stay calm, grounded and healthy over this festive period. Start your day by connecting to your breath. This works really well with a meditation. Alternate nostril breathing is a really simple and effective way to calm your breath. And when your breathing is calm, you feel calm and more likely to be able to handle any situation you’re presented with. Technique: Coming to a comfortable seated position, rest left hand on lap. Begin by covering left nostril with middle finger of right hand. Take a slow, deep inhale, then release finger and cover right nostril with right thumb as you exhale through the left. Continue for three to five minutes. Add an oil of your choice dabbed on to your pressure points for an extra sensory relaxation – try rose or lavender as Ibiza Retreats all time faves. *2* Get your digestion ready! Agni Sara is an all-time classic way to get in touch with your digestion and internal organs and jiggle things around a bit! Consider it like an internal massage to be practised before you eat to prep your digestive system. Technique: Stand with your feet a little more than hip-width apart with your knees bent, and place your hands on your thighs. Bring the weight of your torso over your arms (avoid bending your elbows) so that you can start with a relaxed belly. Look down toward your belly. For the basic variation “abdominal squeeze”, simply contract and release your belly with your breath, drawing your navel back toward your spine on the exhale, and relaxing your belly on the inhale. Start with about five to ten repetitions. Warrior 2 is possibly the most empowering yoga pose ever. Stand tall, stand strong, and settle into your pose. Technique: Try closing your eyes. Feel the muscles in the body working to hold you steady as you connect to the absolute power that resides within. Use your breath, ground down to the earth and just take a moment for you! An all time favourite and the perfect way to end a stressful / over-indulgent day! It allows all the blood to rush away from the feet back to the heart clearing all the old ‘stuff’ out. It also calms the nervous system very nicely too. Technique: Curl yourself into a ball on your side and get your sitting bones as close as you can do to the wall. We like to place a comfy blanket or cushion under your sacrum here for extra support. Bring your knees into your chest and give yourself a gentle hug there before extending your legs up the wall. Bring one hand onto your belly and the other onto your heart, breathing into both of these places in your natural rhythm. Stay here for around 10 minutes or until you feel your feet really beginning to tingle. Come out by reversing how you came in! If you wake up feeling a little sluggish or stressed, the good old child’s pose is a bit of a catch all! If your stress is coming from the fact that you feel really sluggish, then try bringing your fists into balls against your lower belly. Lengthen your spine and soften your belly with every exhale for a gentle internal self-massage. To learn these and many more techniques to keep you well and happy – visit our retreat calendar for 2017 to find YOUR perfect retreat to bring yourself into the New Year with a new purpose and strong intentions..